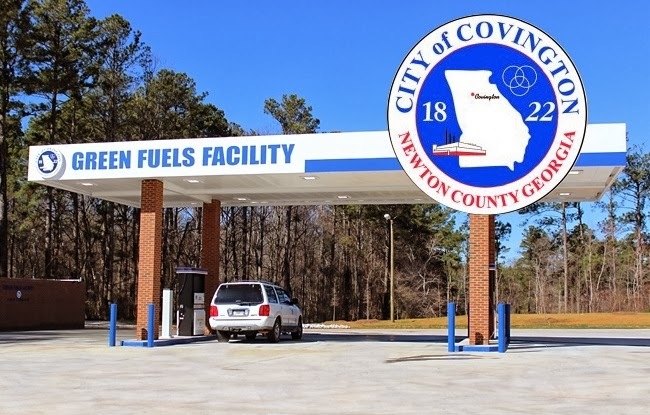 The City of Covington, Georgia made history this week, opening up the State’s first publicly accessible compressed natural gas (CNG) station. The $1.6 million US station was constructed by American Fueling Systems, and is owned by the City. The idea first came about in 2008, and really starting gaining momentum about three years ago, says City Councillor Chris Smith. Chris, along with the Financial Coordinator, Randy Conner, were two main driving forces at the municipality behind getting the project realized. Covington is located along the I-20 – a major interstate highway which connects the city of just over 13,000 residents to major centres like Birmingham, Alabama to the west, and Columbia, South Carolina, to the east. Originally the city anticipated the pumps would be able to fill tanks at a speed of four gasoline gallon equivalents (GGEs) per minute; once the station was built, however, they were happy to realize the four pumps actually fill at nine gasoline gallon equivalents (GGEs) of CNG per minute, increasing the fleet’s uptime. 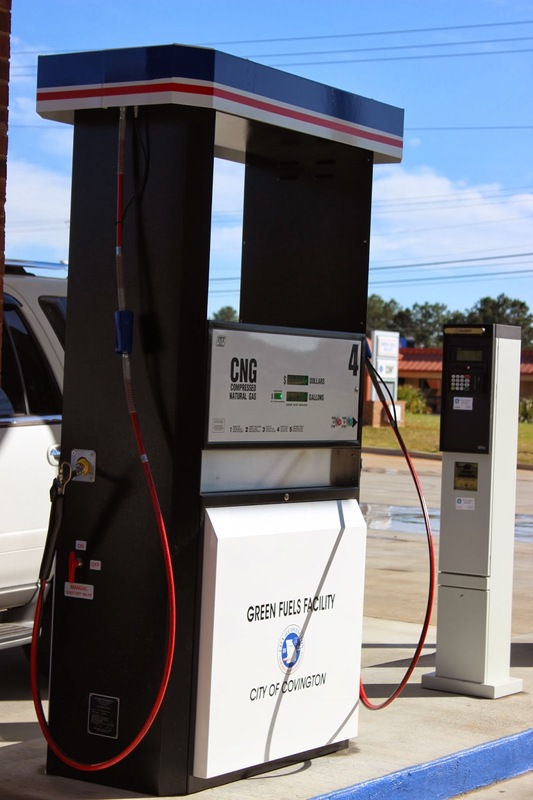 The city, which is itself a natural gas utility, is looking at several ways to encourage the use of natural gas vehicles including: offering home-fill stations and purchasing CNG garbage trucks and school buses. The city already owns a few natural gas trucks for municipal usage purposes, including the fire department.